I worked with LAB BRAIN DESIGN on innovation LAB related to food and energy. The experience was really enriching and interesting! Companies taking part to the LABs were satisfied with the interactive working method, a useful and effective way to "think new"! LAB BRAIN Design Thinking is a laboratory designed by the strategic designer Valentina Downey and architect Patrizia Scarzella, to generate creative approaches to product design, processes and services. 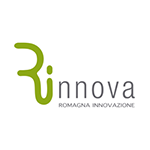 Rinnova Romagna Innovazione took the seminar and all the staff found it useful to open up to external information and keep up with innovation. Therefore, we recommend LAB BRAIN Design Thinking and Valentina to all organizations looking for creative approaches to knowledge management and in designing new innovative concepts. Therefore, we recommend LAB BRAIN Design Thinking and Valentina to all organizations looking for creative approaches to knowledge management and in designing new innovative concepts. 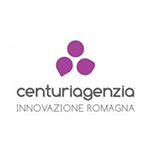 Barbara Casadei - Consulente per l'innovazione e il trasferimento tecnologico alle imprese cooperative presso INNOVACOOP S.R.L. Il laboratorio di Desing Thinking con Valentina è stato davvero interessante, costruttivo e soprattutto utile! E' un percorso che consiglio a quanto vogliano acquisire strumenti di design management! How to improve the perceived value of furniture made in an Emerging country? How to explain to naive managers that the product that is good for the States is not the same for North Africa? 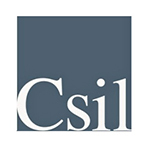 The kind of challenges that Csil faced in Bangladesh together with Valentina Downey and her partner Patrizia Scarzella for two years, starting 2010. The Team included market researchers, furniture top managers and technicians, and the strategic design skills of Valentina and Patrizia. Now a group of furniture companies in Bangladesh have more added value in terms of design. You had assisted our company, AR Consultant to arrange for a Turin day trip from Milan and there was very great although we had a wet, rainy day. the explanation is clear and detailed and the design of the tour is really tailor-made. Everyone enjoyed especially the well-chosen menu for our lunch in Turin as well as the chocolates. Please accept our sincere thanks to all of you for the great job done. It should be a tough working day to handle our group of 80 people with so many "special requests". Many thanks and we should come back again.